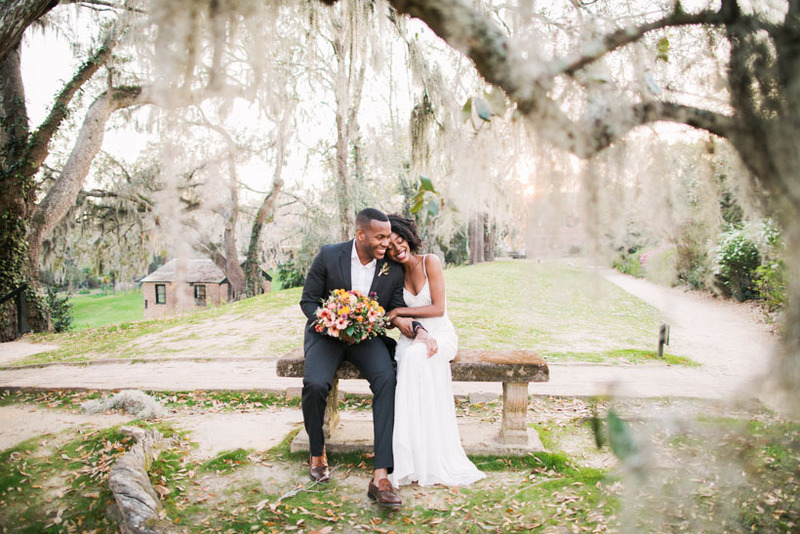 I don’t think its a secret that couples come from all around the world to be married in Charleston South Carolina. 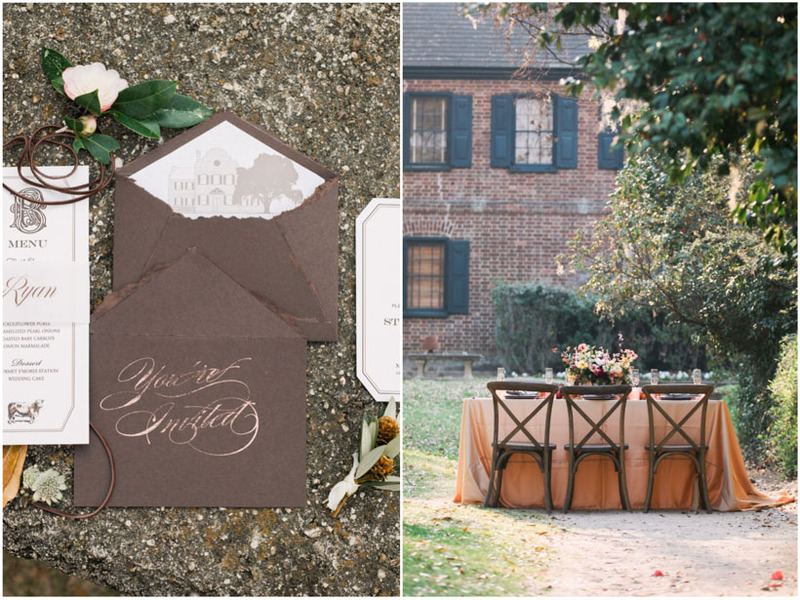 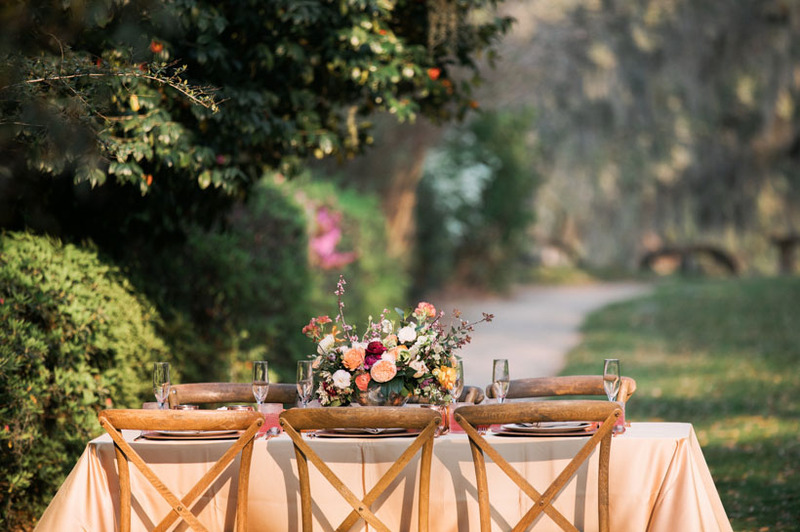 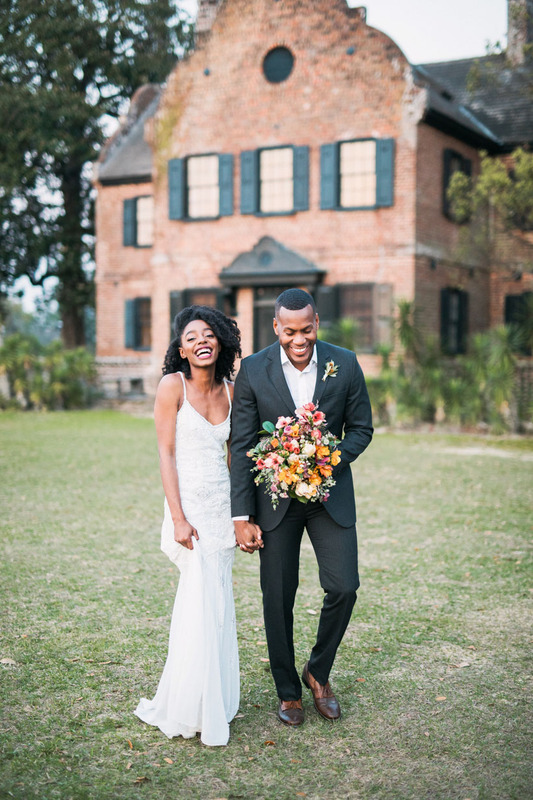 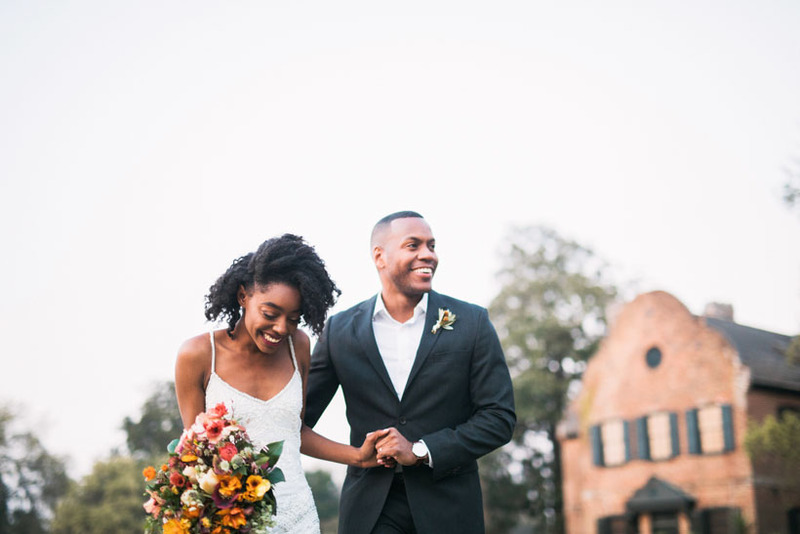 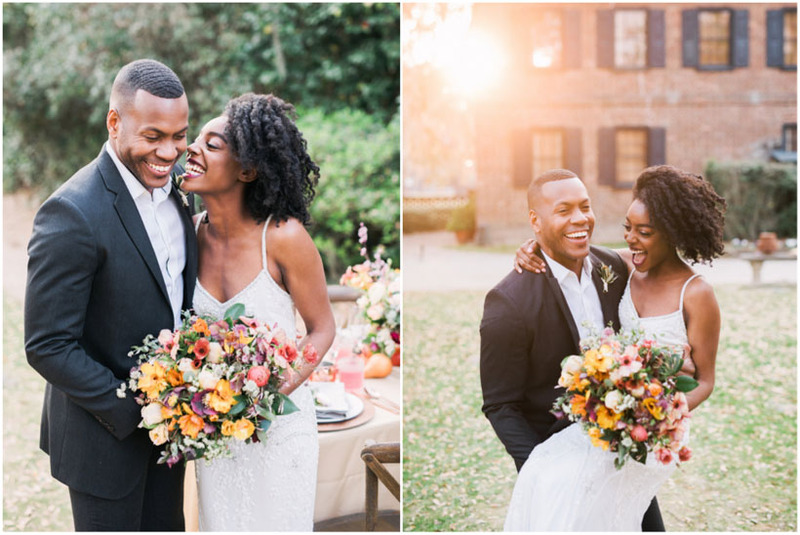 A Middleton Place wedding has all of the Southern Charm and elegance anyone could ever want! 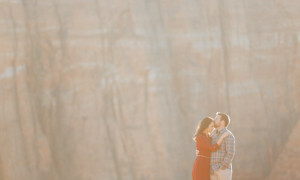 I had an amazing time photographing once of the most genuine and beautiful couples. 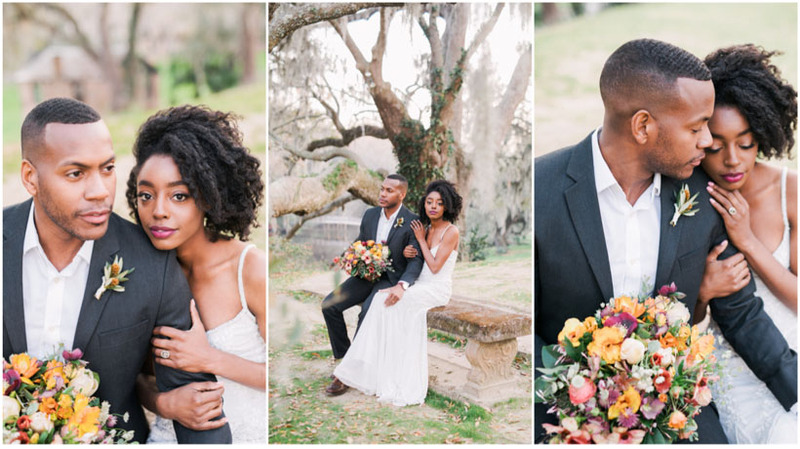 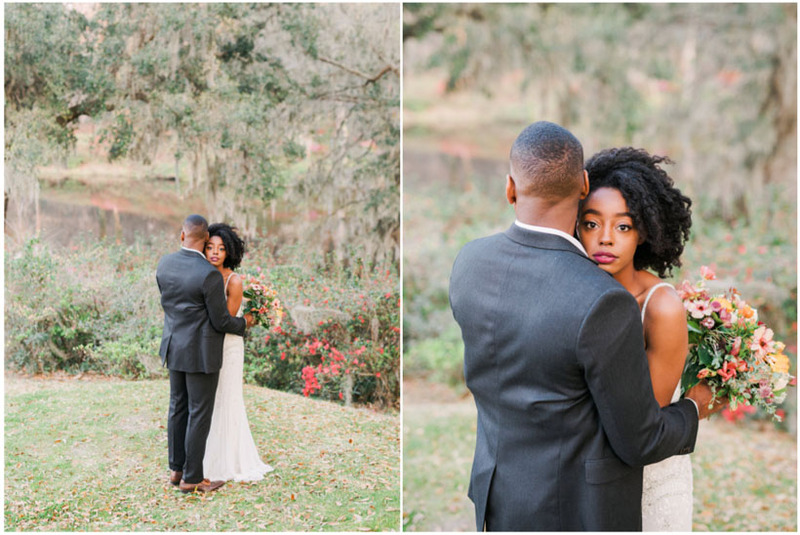 Although it was a chilly day for Charleston, the shoot was absolutely stunning. 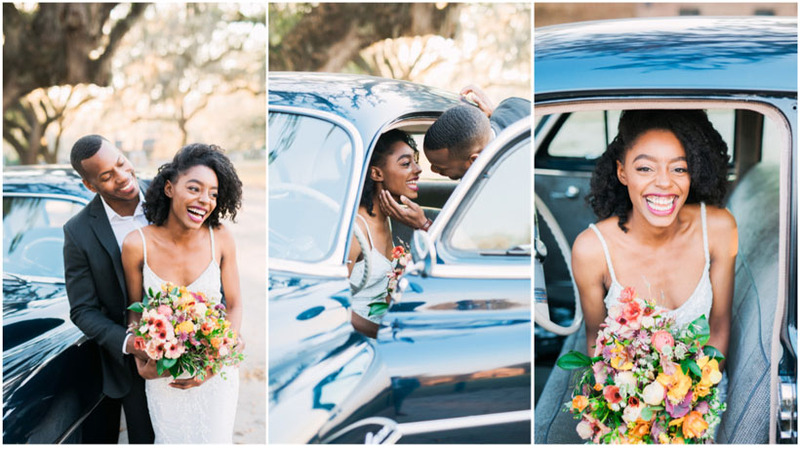 It was an absolute pleasure working with this amazing team to capture some truly breathtaking images. 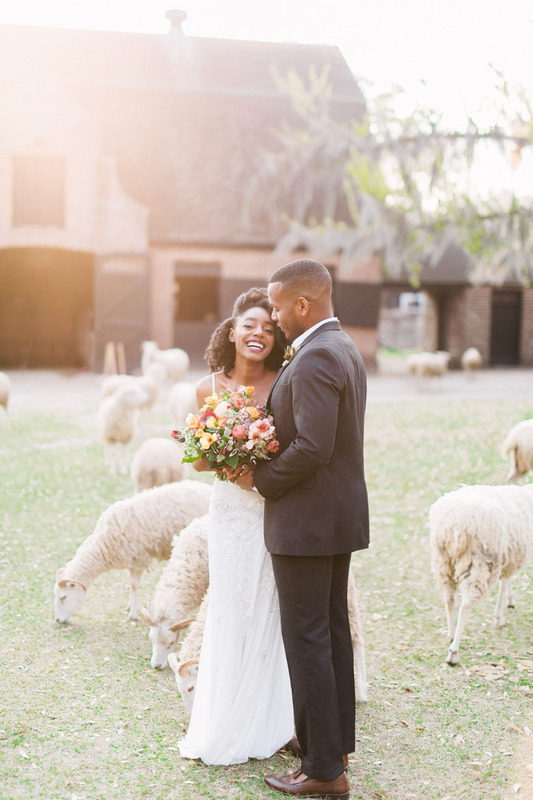 I loved interacting with the sheep that are on property at Middleton Place. 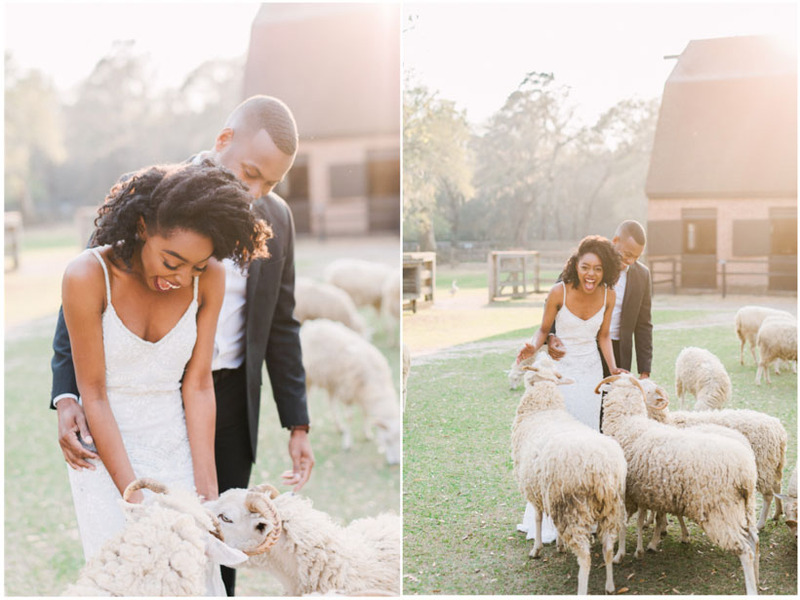 Animals are always unpredictable and can make for some really fun moments! 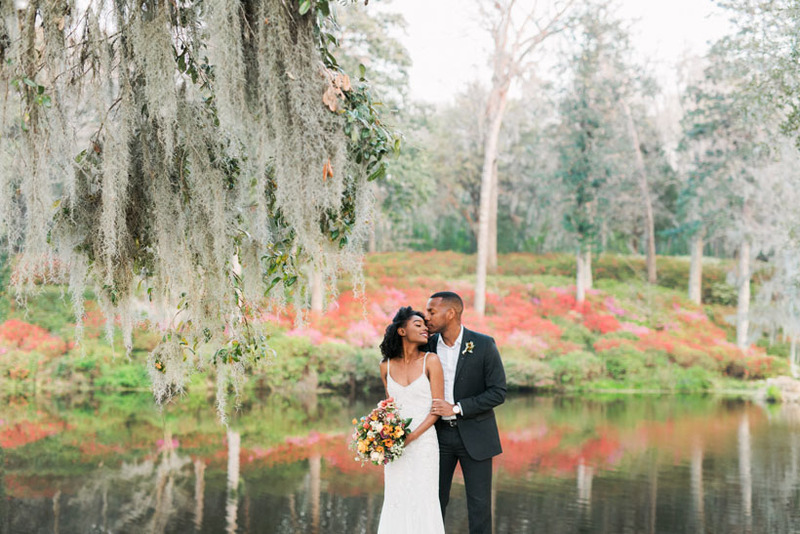 More then one of these fluffy little guys wanted to take a bite out of the beautiful bouquet by Wimberly Fair. 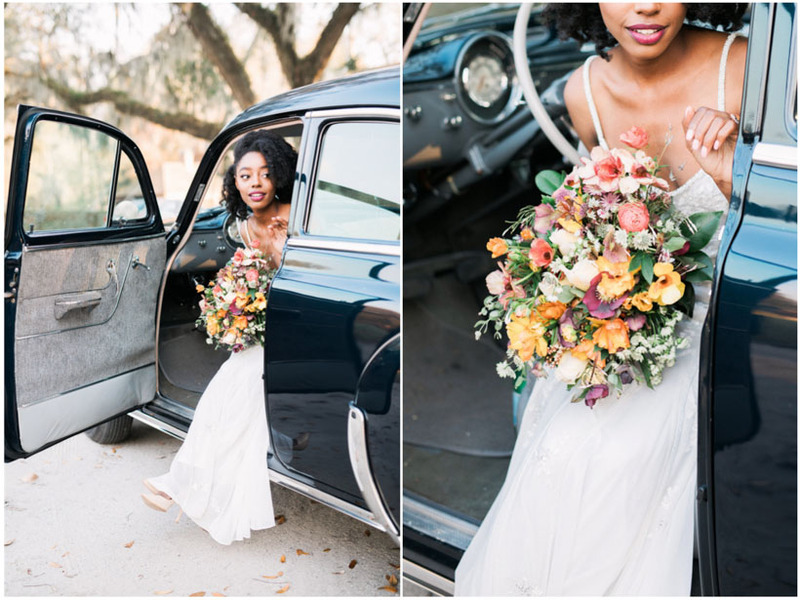 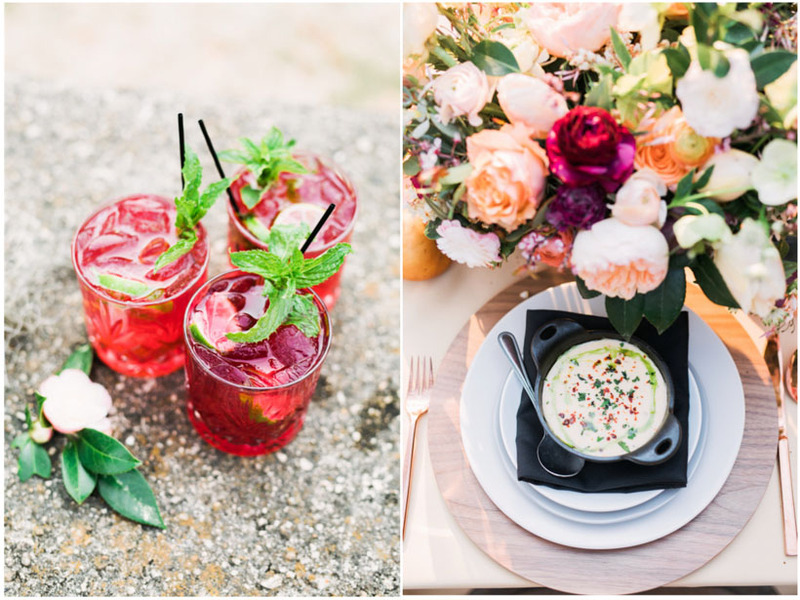 I have to say Wimberly is not only super sweet, but she does incredible floral design! 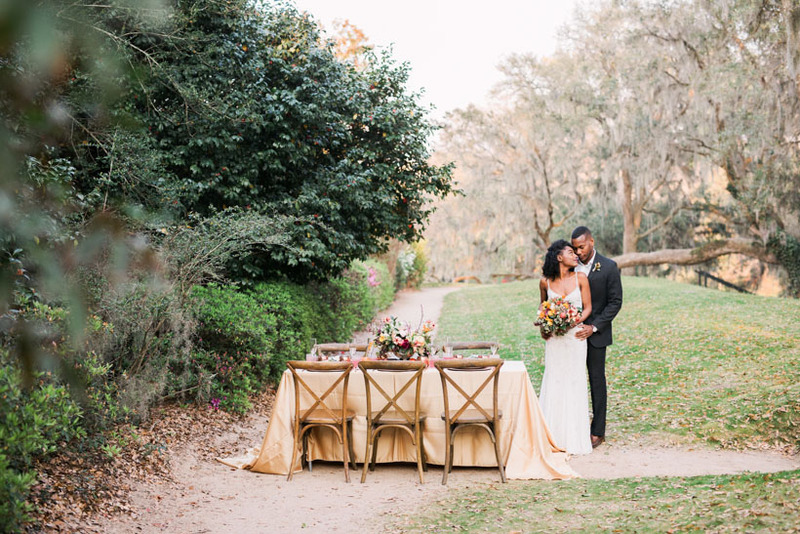 The floral decor on the table and ceremony backdrop were impeccable. 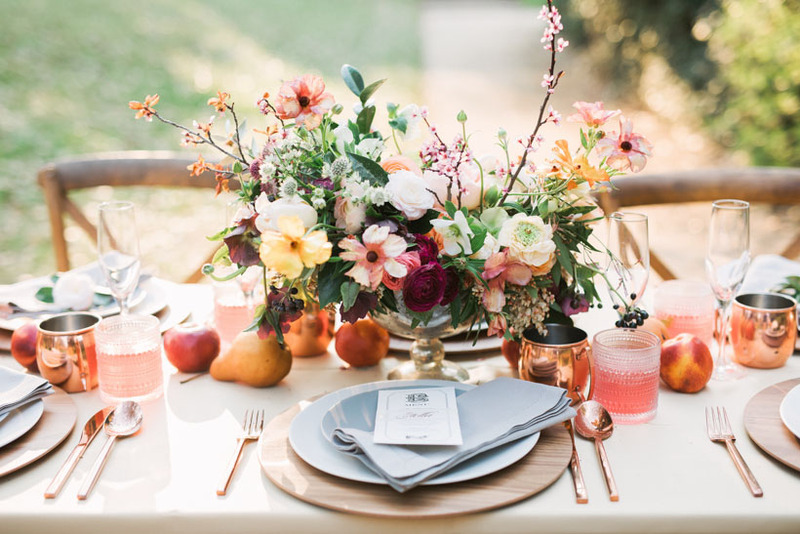 Fabulous Fete did such a fantastic job making this table elegant yet inviting. 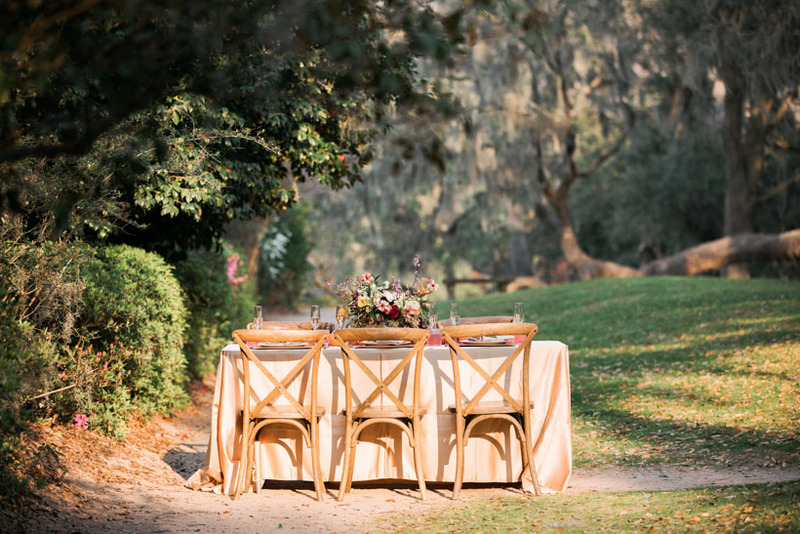 There is no place like the gardens at Middleton Place for a table setup! 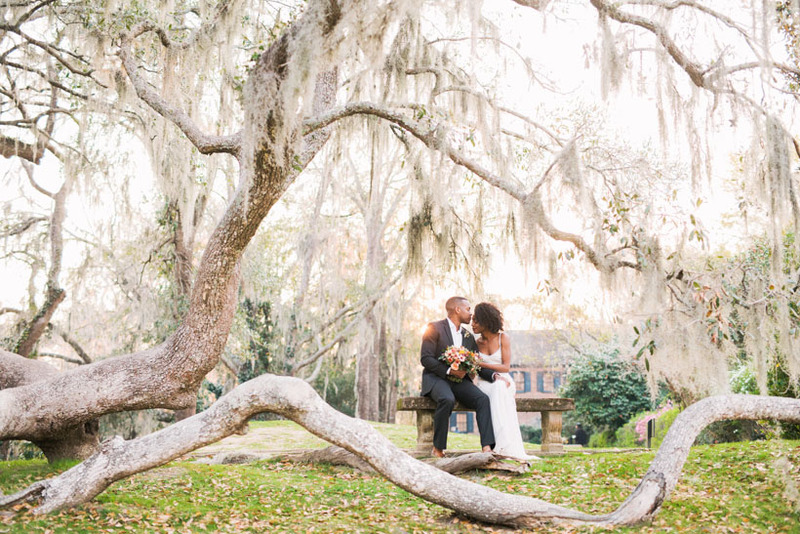 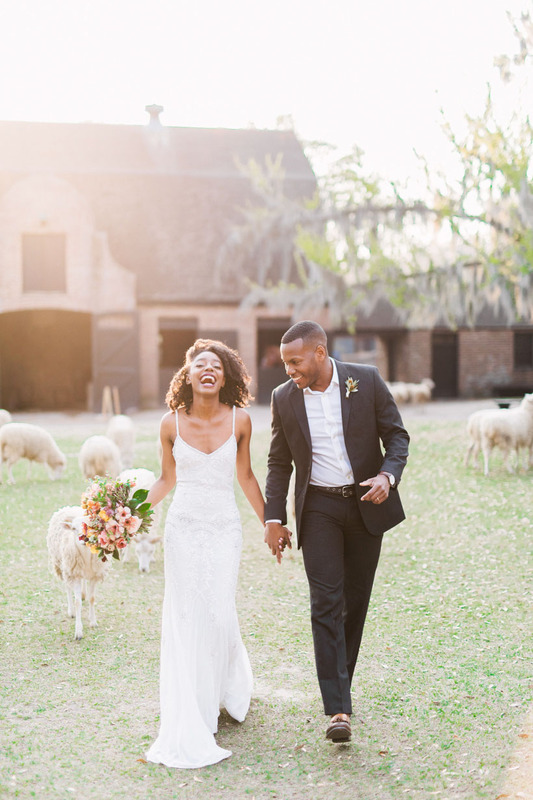 When it comes to wedding venues in Charleston, Middleton Place is one of my absolute favorites! 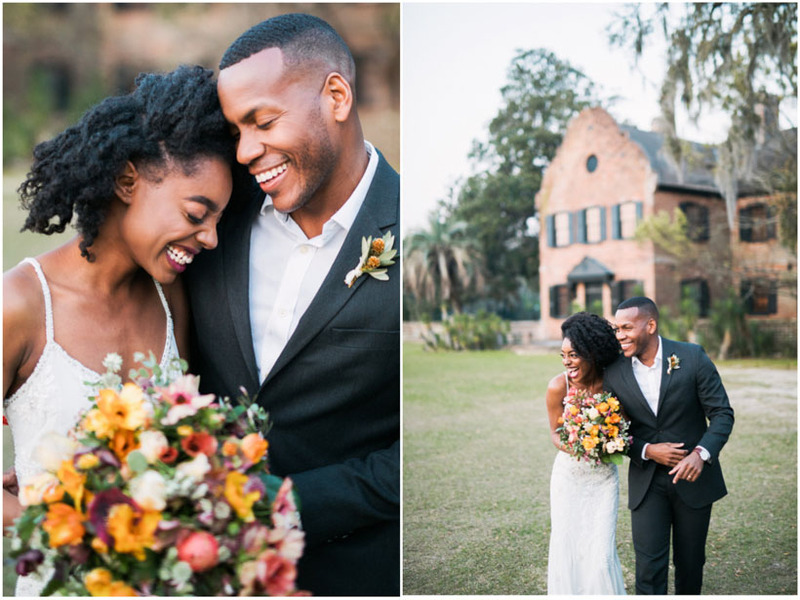 The architecture of the plantation house, and the gardens make for one of the most unique venues anywhere. 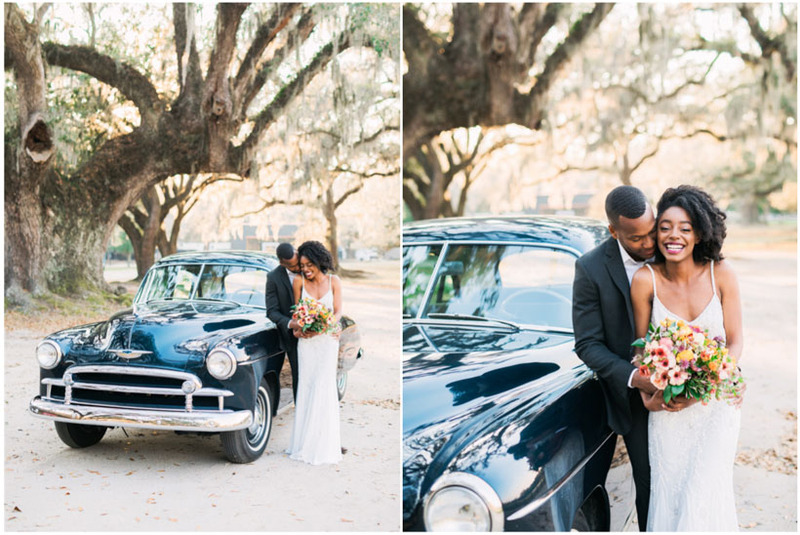 Ad to all of this charm the amazing car from Low Country Valet and this story really comes together! 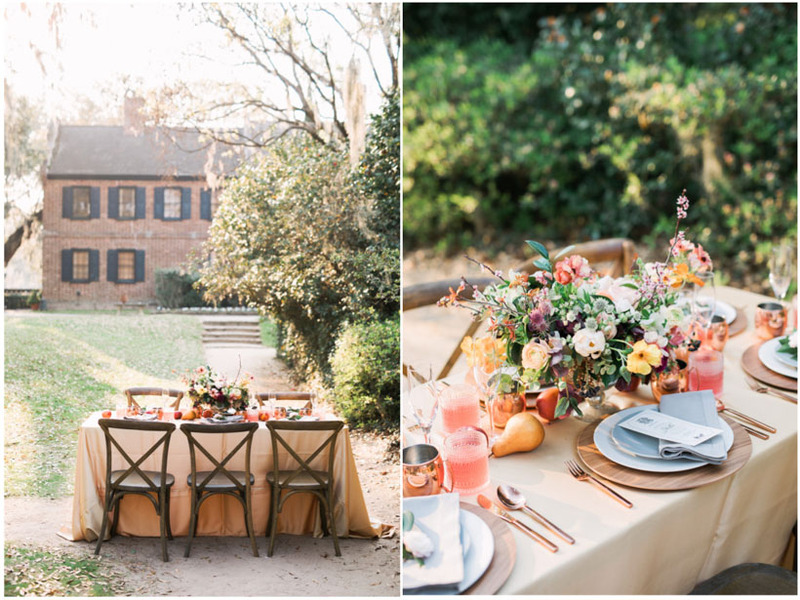 Snyder Event rentals who work a lot with Middleton provided amazing rentals for the shoot. 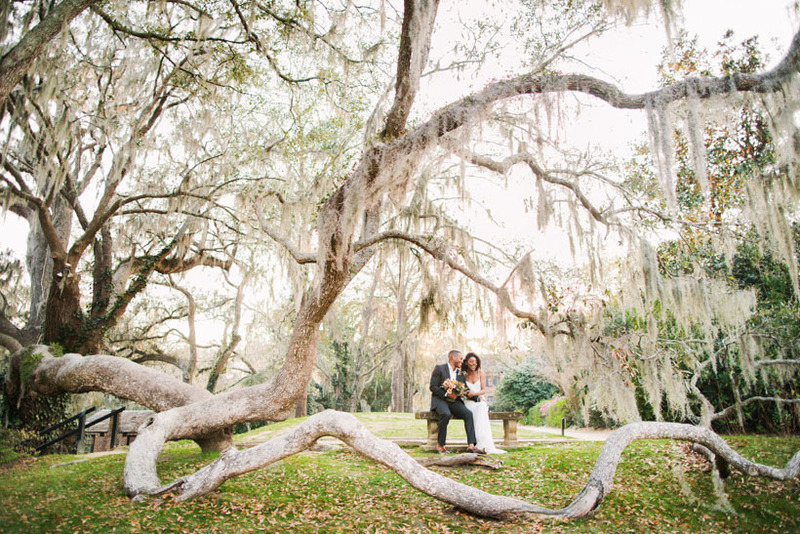 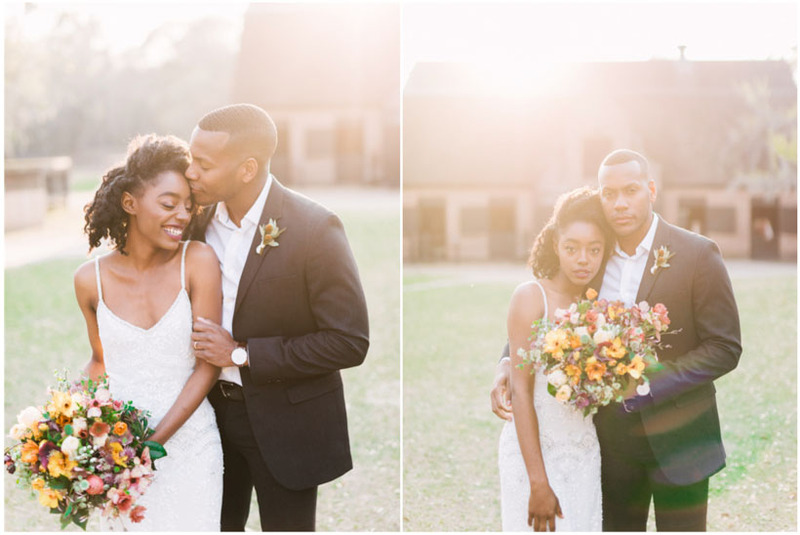 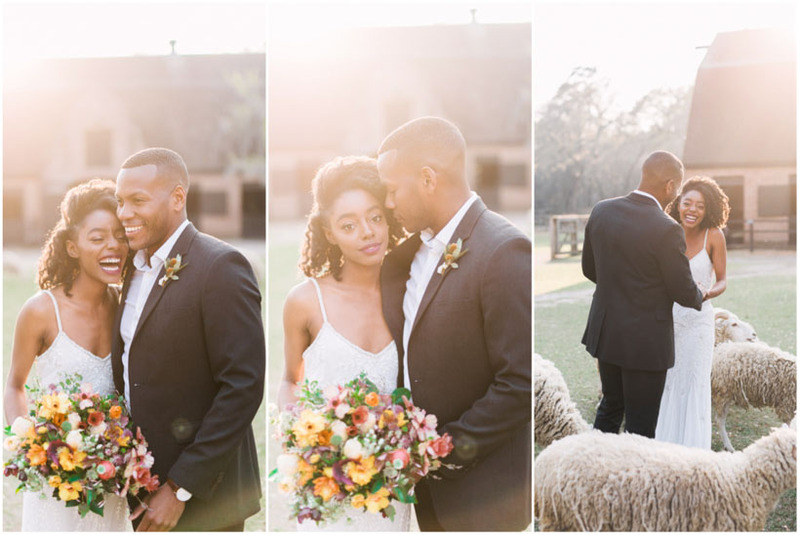 Middleton Place is an incredible venue, and a I cant wait to photograph future weddings here! 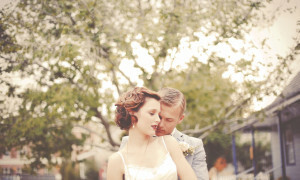 No wedding would be complete of course without a beautiful wedding gown. 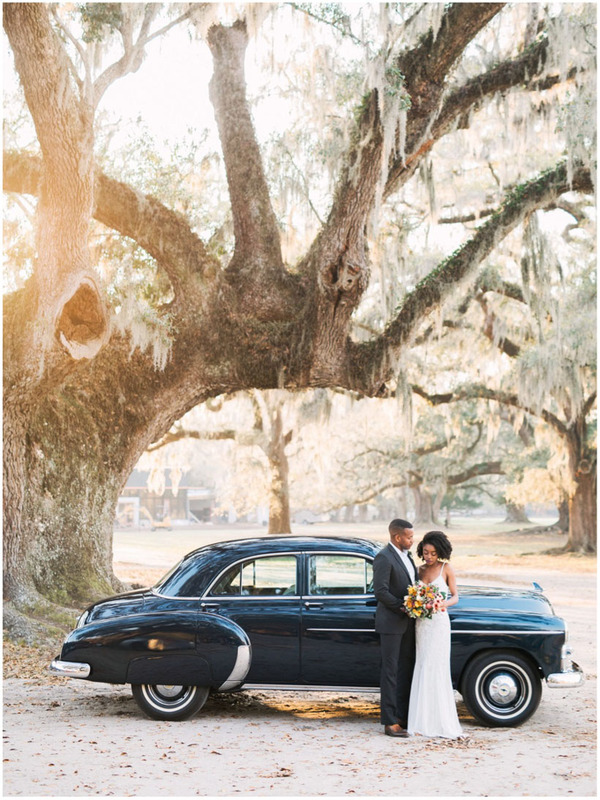 Although BHLDN isn’t based in South Carolina, they ship their stunning dresses all around the world. 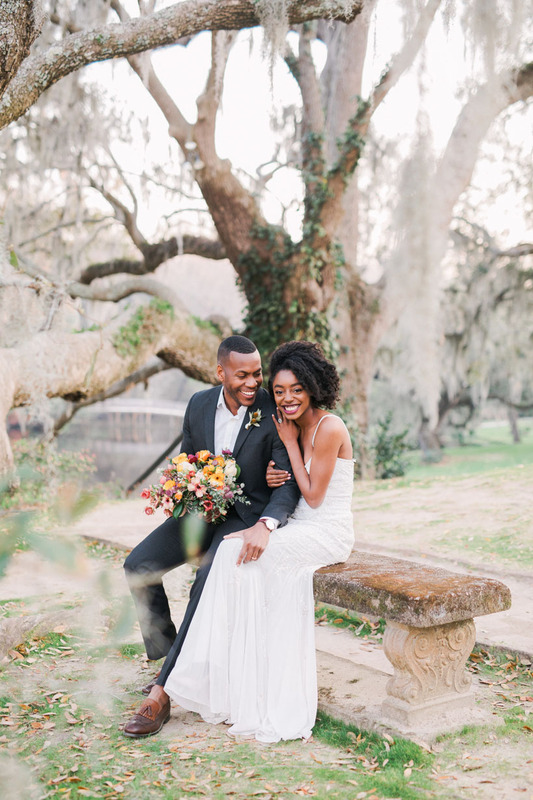 Im so glad they were able to provide this beautiful gown for this shoot. 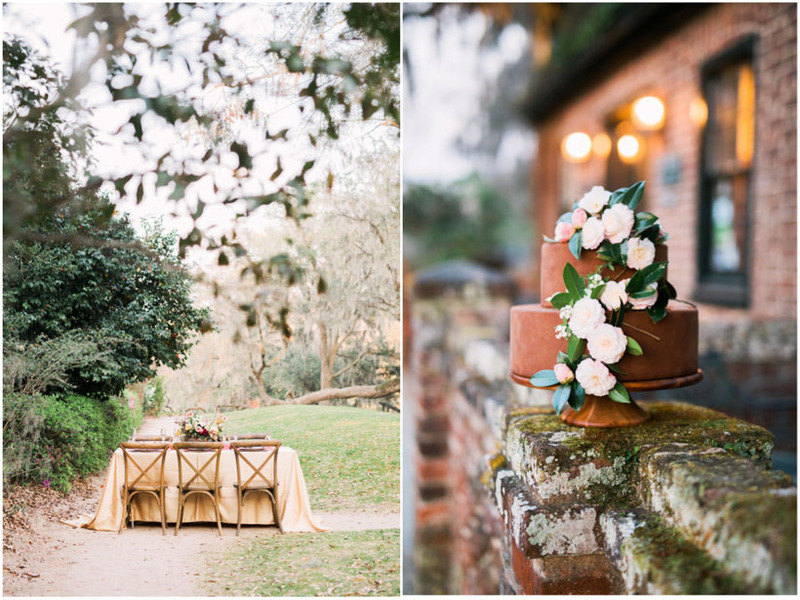 ABCD cakes was able to provide a cake that really went well with the aesthetic of Middleton Place. 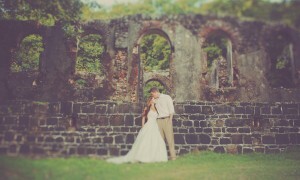 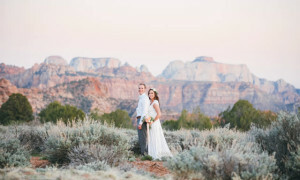 Of course our bride and Groom Venita and Alex were absolutely beautiful and amazing to work with! 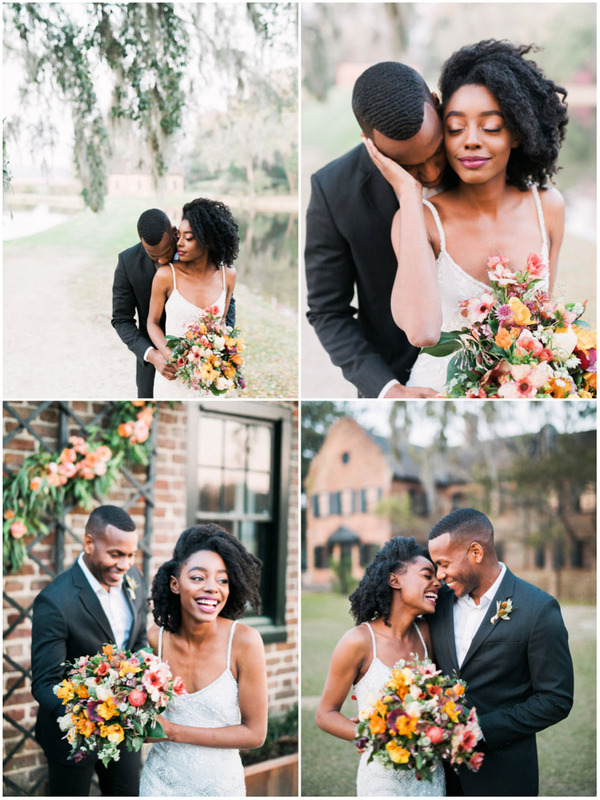 They have such an infectious chemistry and are so fun to be around! 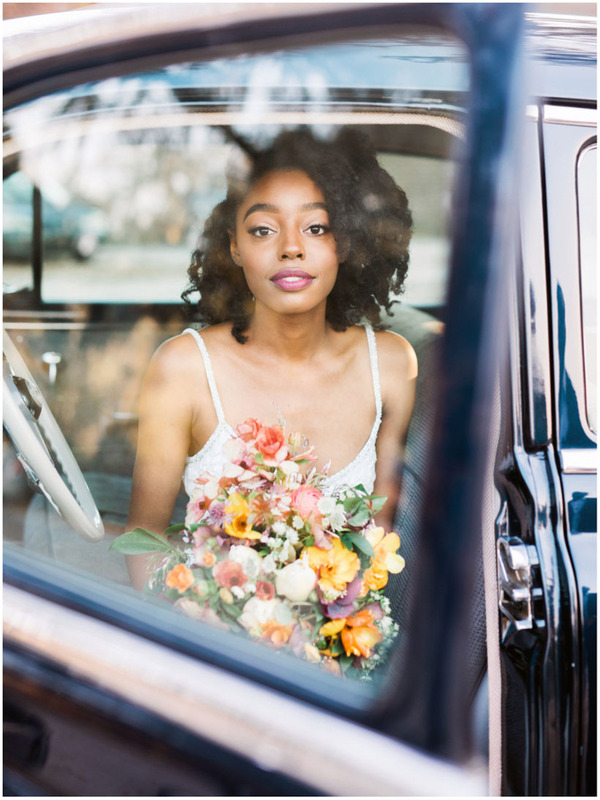 Makeup by Jami did just the perfect touches to bring all of Venita’s incredible beauty!